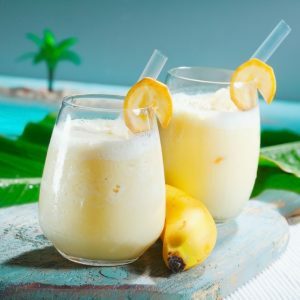 This protein smoothie recipe with banana, almond milk, protein powder, and hemp seeds will give you energy to help you recover from a strenuous physical activity. 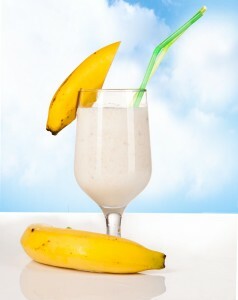 This protein-rich smoothie recipe made of banana, almond milk, protein powder, and sunflower seeds makes a great after workout snack. 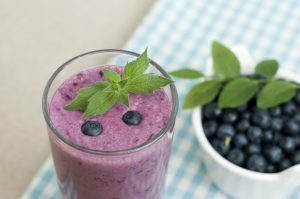 This protein-rich smoothie recipe made of blueberries, almond milk, flax seeds, and protein powder, and chia seeds makes an awesome snack before heading out to the gym. 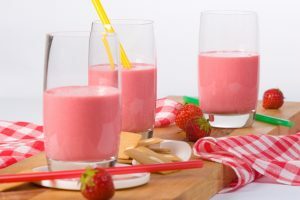 This protein laden smoothie recipe made of strawberries, kiwi, soy protein powder, and chia seeds makes an awesome snack before heading out to the gym. 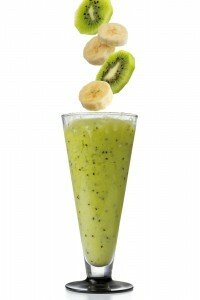 This protein packed smoothie recipe made of kiwi, banana, soy protein powder, and hemp seeds is what you need if you are always on the go. 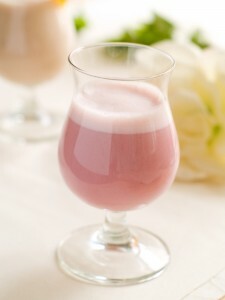 It will give you energy to keep your day going. This smoothie recipe made of pomegranate seeds, rolled oats, wheat germ and protein powderis nutrient dense and also rich in antioxidants making it not only delicious but very healthy as well.